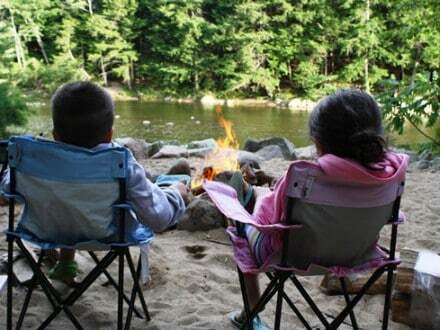 Welcome to Saco River Camping Area – Family Camping at its Best! The Saco River Camping Area is in the heart of the Mount Washington Valley, at the center of it all. We offer peaceful family camping in a nature filled setting with loads of onsite things to do, yet we’re within easy walking distance of stores, restaurants, entertainment, and TAX FREE factory outlet shopping. Hop in your car and the Conway Scenic Railway, Story Land, churches, hospital, hiking and bicycle trails, tennis courts and golf courses are just minutes away. Fun Cycle Rentals Onsite. Try something different…it’s a blast! Location is everything! Saco River Camping is perfectly located in North Conway, NH. Just a short walk off Route 16 brings you to the peaceful surroundings of the Saco River – removed from the hustle and bustle of North Conway. We provide the best of both worlds…amazing family camping with easy access to the best North Conway and the surrounding area has to offer. It’s no wonder we’re sold out almost all summer long. *Applies to most dates and sites, call or email for more details.